‘Transition in Action: Totnes and District 2030. 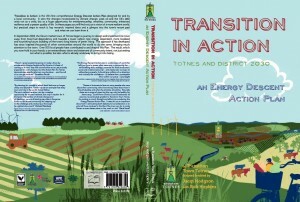 An Energy Descent Plan’: available now! 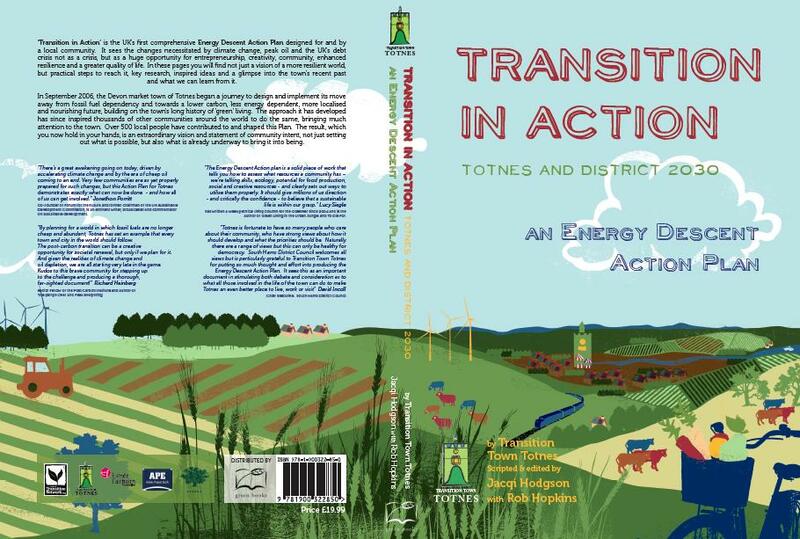 20 months in the making, many hundreds of members of the local community involved, 230 households surveyed, contributions from local artists and schools, many oral histories carried out, and now the UK’s first comprehensive Energy Descent Action Plan is available. It is a sizeable and comprehensive document. 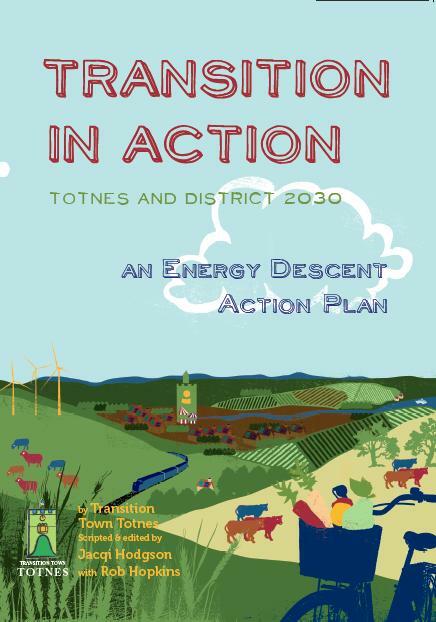 Running to over 300 pages, printed in full colour A4, and beautifully designed, the Totnes & District EDAP is a remarkable achievement, a powerful and practical vision for the relocalisation and decarbonisation of one town and its surroundings. A limited number of printed copies are being made available,, and can now be pre-ordered below. 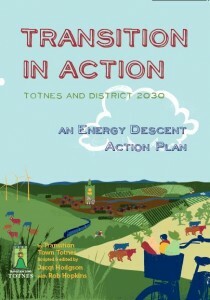 The entire contents of the Plan, plus additional material that didn’t make it into the printed version, are freely available online at the new Totnes EDAP website. We have created two levels of pricing. The first level makes the EDAP available at a discounted price plus postage and packing. The second is the full price plus p&p. 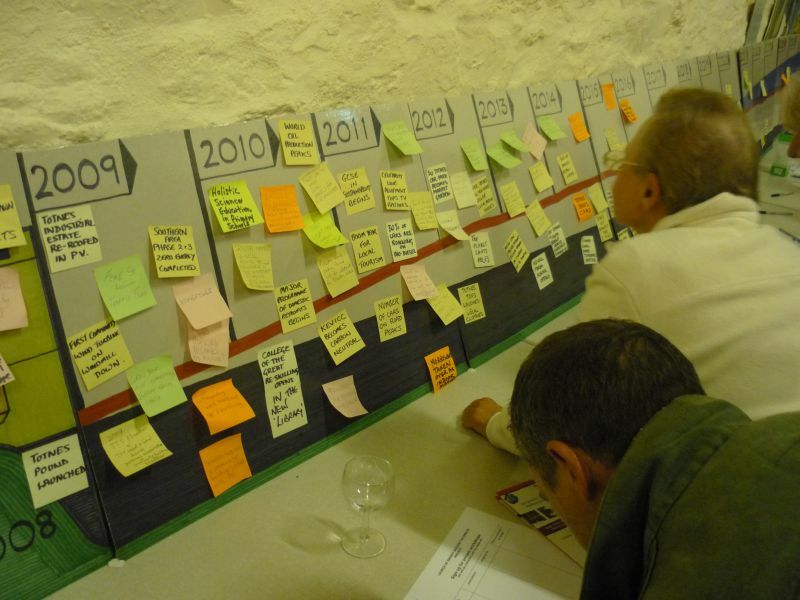 Our hope is that organisations, Councils and libraries will pay the full price, as will anyone who wants to support the process that led to the creation of this plan. Your paying of the higher amount would be very much appreciated.